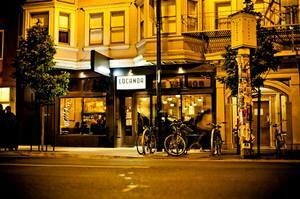 The exterior of Locanda. Photo by Eric Wolfinger via Facebook. Last week, I popped into ~LOCANDA~ for an impromptu pasta dinner with a friend (when cacio e pepe calls, I pick up the phone). Was happy to learn Melissa Reitz (previously Bar Agricole, Camino, Zuni Cafe) has been in the kitchen for the past month and is just ramping up some of her touches to the Roman-rooted menu.